Combine losses vary throughout the day. 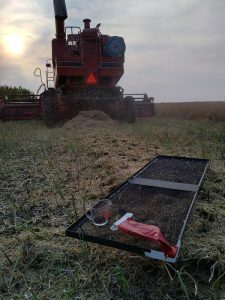 If using the same combine settings all day long, losses in the morning and evening could be significant if the combine is set for easy-threshing afternoons. Or losses in the afternoons could be higher if the combine is locked in for those tough-swath times of day. Checking for combine losses under various conditions will help you get a feel for best settings for various conditions. 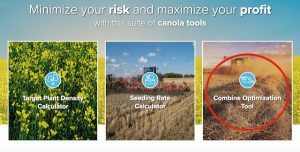 The combine optimization tool, developed by the Prairie Agricultural Machinery Institute (PAMI) for www.canolacalculator.ca, will help farmers set the combine to keep losses as low as possible while finding a balance with productivity and grain quality. 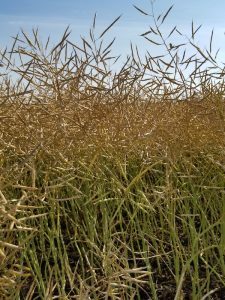 Canola producers can lose 5 bu./ac. or more if the combine isn’t adjusted properly. Here are tips to measure combine losses and make adjustment to limit those losses. This is what a 5 bu./ac. loss looks like. There’s nothing to see. That’s why you need to follow these steps to find out how much you’re really throwing over. 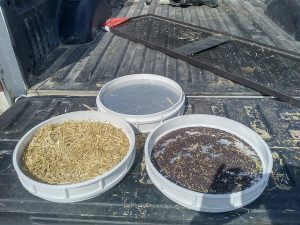 In this educational video, growers and other specialists show how to properly measure and quantify losses out the back of the combine for a low-cost way to potentially add significant bushels to the bin. 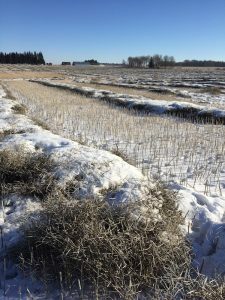 Some very late canola crops are still laying in swaths. 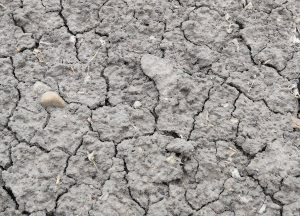 Previous experience suggests two tips….